It’s a date…but what’s that rooster got to do with it? Mark your calendar, the Known by Heart poetry event will take place May 9, 2012, 7 pm, at the Hamline Midway library, 1558 W. Minnehaha Ave., St. Paul. (Thanks to the Friends of the St. Paul Public Library). I’ll be presenting new and old work committed to memory and joined by poets John Minczeski and Andrea Jenkins. I’m excited and honored to have them join me in this poetry and memory experiment. And the rooster? 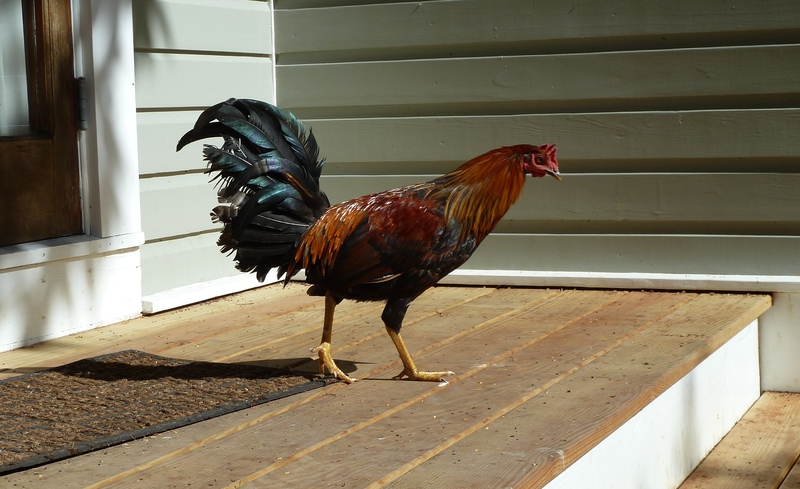 The rooster was a visitor on my porch one day during my stay at the Studios of Key West last November, where I got started on some of the poems I’ll be presenting from memory in May. That rooster is both the subject and a mnemonic device for one of the poems.